Kid Cudi "Passion, Pain & Demon Slayin' Tour" - Otter Productions Inc. | Otter Productions Inc. Kid Cudi "Passion, Pain & Demon Slayin' Tour" - Otter Productions Inc. 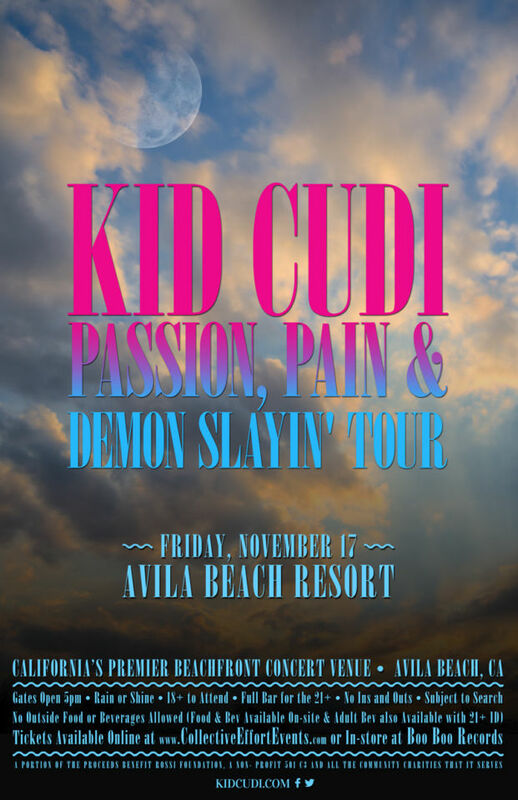 Otter Productions, Inc., Goldenvoice and Collective Effort Events are teaming up to bring Kid Cudi to the Central Coast, to California’s Premier Beachfront Concert Venue, the Avila Beach Resort, on Friday NOvember 17th, 2017. SOLD OUT. Scott Ramon Seguro Mescudi, better known by his stage name Kid Cudi, is an American recording artist and actor from Cleveland, Ohio. Cudi first gained major recognition following the release of his first official full-length project, a mixtape titled A Kid Named Cudi (2008). The mixtape caught the attention of American rapper-producer Kayne West, who subsequently signed Cudi to his GOOD Music label imprint in late 2008. Cudi has since gone on to launch his own record label imprints, the now-dissolved Dream On and current independent label, Wicked Awesome Records. Initially a rapper, Cudi has since added singer, songwriter, record producer, guitarist, music video director and film composer to his repertoire. 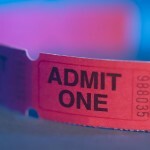 Advance G/A tickets on sale now at Boo Boo Records in SLO and at "Purchase Tickets Online" button below.